To me, horror novels are much like horror movies; it's very rare that I come across a book or film that genuinely scares me to death and sticks in my mind. Below are the best horror novels I've read to date that scare me to the bone when I read them and still give me nightmares years later. If you know of any horror novels that have scared you just as badly, please please PLEASE let me know in the comments below! I would love to branch out and discover more time-worthy horror novels to scare my pants off! 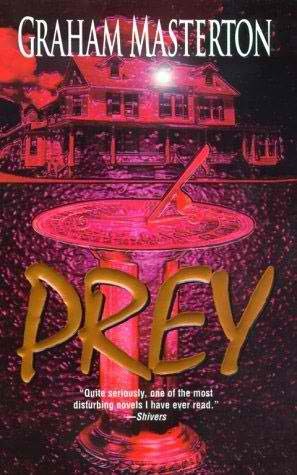 Prey was the first novel I had ever read by Graham Masterton and sadly, I had never heard of him until a friend passed this book along. Prey is about a restoration artist named David Williams who takes on the project of restoring a deserted old Victorian orphanage on the Isle of Wight. The old house is perversely creepy and seemingly haunted, with mysterious scratching noises coming from the attic, a strange sundial on the lawn, a photograph that constantly changes, and a disturbing graveyard filled with bodies of dead children. To experience all this phenomenon with David is his young son Danny and the sexually enticing 19-year-old Liz, who unexpectedly drops in to visit. Nonetheless, despite all the horrific events that inspire, David trudges along with restoring the orphanage. Masterton's writing style is so vivid that you can easily visualize everything he describes in macabre detail. When I read Prey for the first time, I was honestly scared to be alone in the room as I was reading it and kept envisioning the creepy Abraham-Lincoln-lookalike man in my head whenever I ventured into a dark room. The plot is distinctly original and unforgettable. 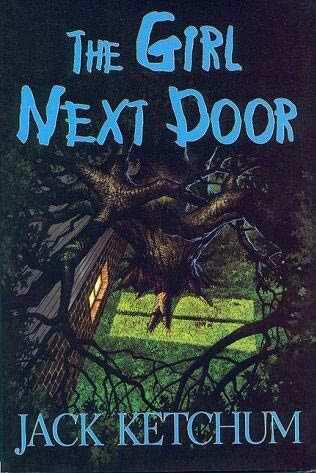 While I haven't particularly enjoyed all of Ketchum's work, The Girl Next Door is one of the most disturbing horror novels I've ever read. Set in 1950s suburban America, David befriends two orphan girls sent to live with their aunt Ruth after their parents have died. Over time, Ruth becomes more and more violent toward the girls and locks one of them in the bomb shelter basement, where she is exposed to the worst abuse imaginable. There are no ghosts or supernatural entities in The Girl Next Door ; the real horror lies in humans and the monsters they sometimes become. The book is chock full of awful torture and sexual abuse that will make you want to vomit, so if you can't take reading material like this, don't even attempt to pick it up. The plus side to all this, is Ruth gets what she deserves at the end. Other popular titles by Jack Ketchum include Off Season (1980), Red (1995) and Ladies' Night (1997) which is reviewed here: Dreamworld Book Reviews -- Ladies' Night. The Blackstone Chronicles is actually a set of six super-short novellas that all tie together about an old haunted asylum atop Blackstone Hill. Each novella tells a different short story in the style of classic horror noir. In each book, random and seemingly harmless objects mysteriously end up in people's homes and cause ultimate destruction; including a doll, a locket, a handkerchief and more. These are all small clues to that lead up to the conclusion in the sixth book, Asylum . In addition to being creepy, there's just something fun and delightful (yep, delightful) about these little books that allow for a nice, slow enjoyable reading pace. Plus, an asylum always makes for sick, twisted reading and can always be counted on to provide a scary setting. I've always been a fan of Stephen King 's earliest work penned throughout the 1970s and 1980s and Carrie is by far my favorite novel by the "king" of horror. For the small percentage of readers not familiar with the plot of Carrie , it's about an awkward, sheltered, old-fashioned teenage girl ridiculed by the entire high school. Of course, nobody knows what Carrie has to endure when she goes home at the end of the day, living strictly by the ridiculous rules of her fanatical, over-the-top, god-fearing crazy mother who abuses Carrie both verbally and physically on a regular basis. When Carrie ventures to the prom under the false impression that she is finally accepted by her peers, hell almost literally breaks loose and Carrie begins to seek revenge -- using telekinesis. 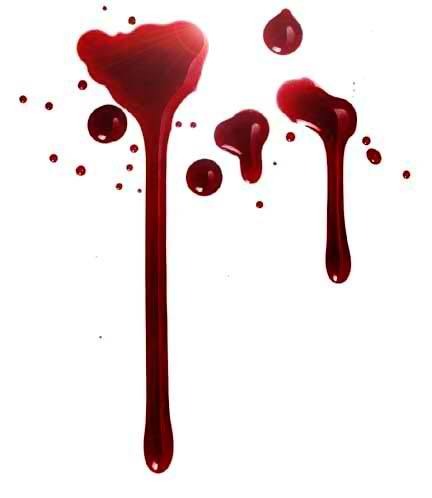 With the cuckoo mother and telekinetic powers aside, the menstruation scene at the beginning of the novel is enough to freak anybody out, as King treats us to a mortifying scene with Carrie not knowing what her period is as she drowns in a waterfall of tampons being thrown at her by the girls in the locker room. Carrie is now considered a modern classic and shouldn't be missed. 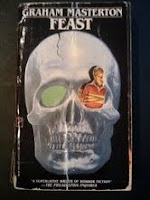 Feast is the mother-lode of all horror novels and if you frequent this website, you'll find it mentioned in numerous places on several different posts. Feast is by far the best and most frightful horror novel I've ever read in my life and unfortunately for all other horror novelists, I'm always comparing it to everything else. Going by the title of Ritual outside of the United States, Feast is about a man who visits a small town in Connecticut with his son and discovers the townspeople are all part of an evil cult. The horror of the novel is learning about exactly what this cult practices and once you do find out, you won't be able to tear yourself away. Feast will truly make you sick to your stomach, but in the most satisfying way if you love horror. There's a spot in the novel where Masterton colorfully and accurately describes what an eyeball feels like if you chew into one. The climax of Feast is also surprising and unbelievable and Masterton is the master of unexpected endings. Read our review of Feast here: Dreamworld Book Reviews -- Feast. Do you agree or disagree with these selections? What are your favorite horror novels? Are there any that made you sick to your stomach? 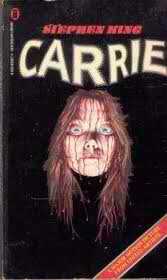 I remember reading 'Carrie' when I was young and on holidays. It took me 12 hours (not including sleep) and I loved it! It kind of reminded me of how I was treated at high school (yep, I wasn't the most popular, coolest, wanted, included or had the most friends girl in school either). I do recall that SK wrote in his 'On Writing' memoir that he got his idea for the book from a time when he moved furniture and he happened upon a woman's place where he saw a huge crucifix up on the wall of the living room (it took up the whole room!). He wondered what it would be like to live with that watching over your every move; especially if you were a teenager... and there was the idea of 'Carrie'. I think that's how it went. Wow -- that's neat about his inspiration for Carrie, haha...how creepy! The same thoughts would run through my head if I saw that in somebody's house. Yes, the book reads really well and is pretty timeless considering when it was written. I have a permanent copy sitting on my bookshelf and re-read it every few years. 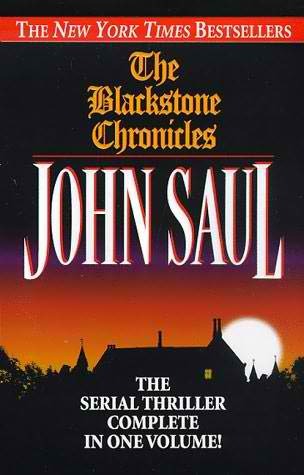 I remember John Saul. My favorite book was called Suffer the Children.